Two-Bedroom Holiday Home Armação De Pêra 2 is a holiday home located in Porches, 12 km from Albufeira. The unit is 25 km from Lagos. A microwave and a refrigerator can be found in the kitchen and there is a private bathroom. Located in the popular summer destination of Armação de Pêra, Casa do Poco features an outdoor swimming pool. 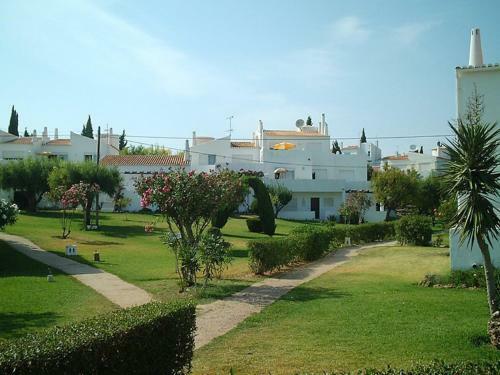 The villa is 3.3 km from Pescadores Beach and 3 km from the centre. Offering a private outdoor swimming pool and access to a restaurant and a bar, Amendoeira Golf Resort Villas features accommodation in luxurious villas. The unit is located in Armação de Pêra and includes a golf course on the resort. Offering outdoor pool, Hotel Capela das Artes is located in Alcantarilha, 3 km from Armação de Pêra. Free WiFi access is available in this historical building. This accommodation will provide guests with a TV and air conditioning. Four-Bedroom Holiday Home Armação De Pêra is a holiday home with a seasonal outdoor pool, set in Alcantarilha, 1.8 km from Aqualand Water Park. A dishwasher and an oven can be found in the kitchen.